Heritage 2800 Windows & Doors – Our Heritage 2800 windows and doors combine the elegance and style of traditional timber with all the benefits of PVC-U. This range is ideal for period properties and those who want to add or restore character to their homes. Its unique, unrivalled, aesthetic appeal makes this range the most attractive suite of windows and doors on the market today. With its smooth contours and stunning features, our Heritage 2800 series offers a contemporary and elegant range of windows and doors that complements modern and period properties alike. Combining the traditional look with the latest technology, its symmetrical design gives a property perfect balance and harmony. This range of windows and doors is available in White and nine ‘wood like’ finishes as standard, including White Woodgrain, Cream, Rosewood and Golden Oak. Our Heritage 2800 suite also benefits from additional colour options as standard, with a new generation of ‘all over colour’ from our Colour360 range. 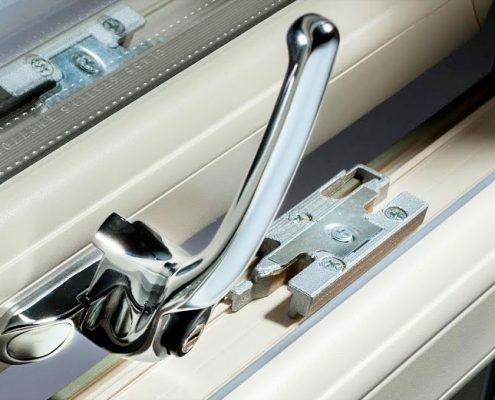 Our windows and doors come with a choice of complementary stunning hardware to complete the look. All our products undergo rigorous tests to ensure they are of the highest quality, durability and reliability. So your windows and doors will stay beautiful. Our Heritage 2800 double glazed windows achieve an A energy rating, providing superb thermal insulation to your home. Calculate how much you could save using our online energy calculator. Deceuninck’s Colour Express range of woodgrain foils has been specifically designed to help homeowners put together the perfect colour palette for their home. Nine woodgrain finishes available from stock, including window trims. 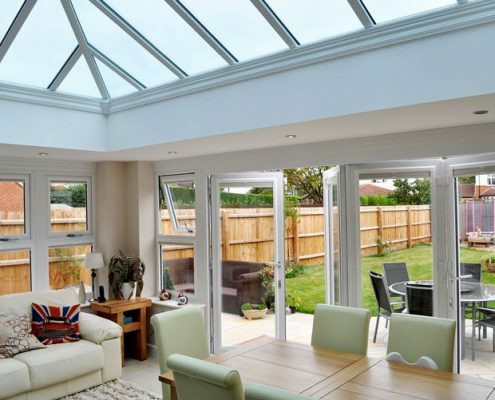 The complete range is extremely durable and comes with a 10 year manufacturer’s guarantee. Deceuninck’s Colour360 is the first of a new generation of ‘all over colour’ painted profile using water based paint (i.e. no solvents). 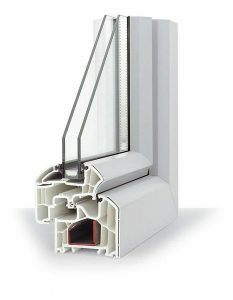 This unique range offers you wonderful colour choice inside and out, which means your windows and doors look as good open as they do closed. Colour360 is a textured matt finish and extremely durable against impact, scratches and abrasion. It comes with a 10 year warranty as standard. Excellent service throughout, courteous and tidy fitting, excellent price, definitely will (and have) recommended you. For any future work we would always contact your company first. “Great job and customer service” – aftercare fantastic. Birmingham Glass is always my first call for ANY glass /glazing jobs. Excellent fitters, would not know that I had windows fitted. (Outstanding work). We are so happy with our new windows and doors. Very professional and friendly staff – thank you. Excellent service, great price, Very happy. Immaculate job, would definitely use Birmingham Glass Services Ltd again. Fantastic service, measured and replaced front window within an hour and a half at our premises. Highly recommended. First contact with Birmingham Glass Services Ltd was made less than a month ago. Now we have new windows fitted with no fuss or bother. Great work. Completed job in time quoted. Clean and efficient installation with minimal disruption. Excellent service. Also had slight problem with one window a few days later, excellent aftercare service, visited straight away and resolved problem. WONDERFUL. “I am writing to thank the company for my 3 beautiful new windows and their excellent quality! I would particularly like to thank the 2 men who did a very professional job of fitting them, listening to requests and sorting details related to the windows, keeping me informed of progress and presenting their work when done. They made minimal mess and all was cleaned up and back to normal. I would certainly recommend your company to other customers in the future. Thank you once again”. Truly excellent service and blown away by the consummate professionalism of the entire team. We are so happy ! Definitely be recommending you to others. Was very please with the service received. Tradesman worked with no mess at all, very good door, very good price, very pleased as always – Thank you. Prompt service, on time, no problems with the job. Nice people. Windows are beautiful and have transformed my house. Fitters did a great job and were three very polite young men. I would highly recommend your company. Fantastic service, excellent customer skills and sales NOT pushy like other window companies. Absolutely excellent service all round, I have had neighbours compliment the finished work ! Very Professional, Well run company. Very pleased with my Door/Window. I can’t speak highly enough of the work done by your company. Having seen an installation done recently by your company, I knew that it was going to be good but having seen the results, somehow my expectations were exceeded. Thanks to the fitters who did an amazing job! I am really delighted with my new porch. This is an excellent firm, which I have previously used with complete satisfaction. Very pleased with the work carried out. The fitters were very efficient and polite. Very impressed with the service, the fitters were excellent, very polite and tidy. I am very pleased with the end result – Many thanks.